Chunky Lacy Cowl Pattern ~ Free! Click the image above or the link below to be taken to the new location for this free knitting pattern! Chunky Lace Cowl ~ Free Knitting Pattern! The Ashling Tote Pattern…for Cascade 220 Wool! Little Cherry Blossoms Bag is FINALLY here! Link should work now, 3 lovely fellow knitters double-checked for me and it worked for them. Happy knitting! I love the look of this cowl, however I cannot figure out the pattern, seems to decrease more stitches than increase each row. Maybe I am not counting right! Pattern from 19 stitches to 15 stitches. Can you help? Trudi, the pattern repeat is 11 stitches (11 x 5 = 55 sts that you cast on). In each repeat, you p2tog 4 times, but you also do 4 yarn overs. This gives leaves you with no less and no more than you started with. I got mine at my local yarn shop. You could probably order them online, but of course that means waiting. Hope you can track a pair down! I personally find that the best place to buy needles is http://www.knitpicks.com. They have good prices and the interchangable needles set can’t be beat! For this particular pattern you would want the 16″ fixed circulars in the biggest size they have… 11’s or 13’s I think I used? Anyway, it’s a good site for nice silver needles. hi, could you please check the link again? I am not able to access the pdf file. Hi Lori! Hopefully the link works now! I’m having problems with the link to the pdf as well… Says only the owner can access it. Thanks! I’m hoping it is working now. I have it hosted at fileden.com, and when I logged out, I could still access the file even though I wasn’t logged in. It may be because I hadn’t logged into fileden for over 30 days and that made the file unavailable publicly. Anyway, I hope it’s working now! I LOVE the look of this cowl! I am excited about making it! But I can’t make the pattern work. My daughter and I are trying to figure out why we can’t make it fit in 11 stitches (she gets too few and I get too many). The problem we are having is the “(yo k1) 3x yo” series. We have different interpretations of what that means, apparently. I know it’s supposed to work; I understand the math, but I don’t know why I have either one stitch too few or four too many, and ever the right number. Does that help at all?? I think you are having trouble with the single YO. You YO, K1, YO, K1, YO, K1, YO, then do the P2Ts. For that last YO if you just wrap the yarn once counter-clockwise like a normal YO, then the YO disappears when you pearl and you end up with too few stitches. If you wrap it around counter-clockwise twice (really 1.5X),then you might be knitting into the YO twice on the next round and ending up with too many stitches. Make sure you take that whole large YO off with one knit stitch. There is another way to do it to make the YOs more even in size : When you get to that forth YO take the yarn from the back to the front CLOCKWISE (outside) the right needle and then do your P2T. When you come to this YO in the next round it will be on the needle backwards – right leg in back. Either knit into the back of this stitch (if you know how), or just slip the YO onto your right needle then back onto your left needle with the right leg in front and knit it regularly. HOPE THIS HELPS! Jess – your comments were very informative. Found the pattern on Ravelry – am using Malabrigo, so lighter in weight for Texas winters – US 11 Addi Circ. Experienced same YO problem following the P2tog. Did close the hole by knitting through the back loop on the return row, but thought that wasn’t really “right”. So went to YouTube and found video showing YO following purl stitches – simply keep the yarn in FRONT while KNITTING the subsequent knit stitch. Will try this tomorrow – makes the yarnover automatically. Thanks for the great pattern. I found it last night and knitted it up this afternoon. I really love it as it’s my first cowl and turned out nicely. My only question is whether you blocked the ones you knitted in the picture. Mine seems much smaller (narrower and shorter) even though I followed the pattern exactly. I’m glad you liked it! No I didn’t block it because that yarn isn’t really condusive to blocking. It could just be that you’re a tighter knitter than myself. Maybe next time use a larger needle? If anything, yours will probably fit much more snug, which will probably turn out to be a warm bonus!!! Wow! Great Pattern! Thanks so much! I am amazed that something so awesome and beautiful can knit up so fast! This was really my intro to knitting lace, and I’m so glad it’s not as intimidating as I thought. Other thing: To bind off, I used the cast-on cast-off method. It works really well for a supple, stretchy edge (just like a cast-on edge, hence the name). Anyway, thanks! Made my day! can’t access the pdf file – please email the pattern. it looks so cool I want to knit it! please email me the pattern – I cannot open the pdf file. I love this pattern and want to make it for several people. Please help.! Finished! Really love it! I have to make several, because my first one doesn’t go with everything! My daughter is making one flat so she can put buttons on it (she loves buttons). Thanks! Heidi, thank you so much for sharing this pattern. I have made up two, and gave one for a Christmas gift. My sister also really loved the pattern and it made for wonderful gifts for her friends and family. It’s a cool, timely pattern, and I see women eying my cowl whenever I wear it out. You’re the best for sharing this and I wanted you to know! Thanks for the great pattern – I was looking for something to make for a local charity that donates to the homeless. This would be a nice pattern for women/teens. Knit on! I love that cowl! I need to send the pattern off to my sister so she can make one for me!!! It looks like FileDen (where the pdf file is hosted) is having a problem. I’ll check back later to see if it’s been fixed, but in the meantime I’d be happy to e-mail you the pattern! Thank you so much for emailing the pattern! I can’t wait to make one. Too bad winter is almost over! I can’t believe I just said that. You should be able to download it now. If I don’t log into Fileden on a regular basis, it makes my account go dormant until I log in again. Hope it works now! Thank you so much for getting back to me-for some reason i can’t download-Can you just tell me what stich you used? its so pretty-I’ll figure the rest out since i cant download the pattern-Thanks so much! Can’t wait to start this piece- it will be my first stab at lacework! Heidi I was wondering if you had a pattern for the cute little flowers in your banner on top! I am a knitter (maybe intermediate plus?) but I can’t crochet! I really want to have little flowers to decorate my hats! I was thinking of modifying this pattern to make a lacy beanie hat with a flower… thoughts? anyway, I did well with your pattern here, so I thought it was worth a shot. Thanks SOOO much! thanks Heidi! I did make this cowl and it is super cute. I’ve now made a few for xmas gifts and other presents and they have gotten rave reviews! I’m working on the flower pattern now and have thought about taking up crocheting as my new winter project! I should get going on making some myself, it’s a been awile! Just a “thank you very much” for sharing! Will do!! I think FileDen where I host the file may be hacked or something. My virus protection software blocked the site and aborted the connection. I’m off to e-mail it to you! I love this pattern and just went to download it (making it for my friend’s birthday!) and my virus protection wouldn’t allow it; there was a severe security risk detected. Would it be possible to email it to me? Thanks so much for sharing this free pattern for all of us fellow knitters. The link is not working for me. Can you somehow send it over email for me? I would really appreciate it. It kept saying page is not found when I click on the link. Heidi – I would be forever grateful if you would email me the Chunky Lace Cowl pattern. It is beautiful…thanks for sharing. I love this pattern, it’s beautiful. However, I’m having trouble finding an 18″ long circular needle in craft stores, and I don’t have an LYS in my area. So, I bought a 16″ circular needle instead, and was curious if that would work instead of the 18″? I’m assuming I will have to cast on more stitches, but that it will be fine. I am having difficulty downloading the pdf pattern. Can you please email it to me? Thank you – my daughter is in love with the scarf and I want to make it for her. I love this! Could you pls email me a copy. I’d love to make it for a friend. Thank you! Hi, I saw this on this page and on Ravelry. I have been looking for a cowl pattern for a while and this is the one! It is so pretty. Can you please send me the pattern. Thank you Sophia. Do I understand the pattern correctly in that I repeat all four rows (k, k, patterned row, k) each time I repeat? Or, do I only repeat rows 3 and 4? When you say to repeat these rows 7 times, do you mean that row 3 is done 5 times EVERY time I knit row 3? Thank you! Love the pattern! Hi! Could you please email me the pattern? It looks lovely!! Hi! I really love this cowl, and I have some yarn that would be perfect for it, but I am unable to download the pdf. Could you please email me the pattern? Thanks! Could you please email me the pattern? I tried to get it and it wouldn’t let me either. Thanks. Love your site. Hi can you email me the pattern? jlu1996@yahoo.com thanks! my mom is teaching me to knit and I’d like to start with your chunky lace cowl. 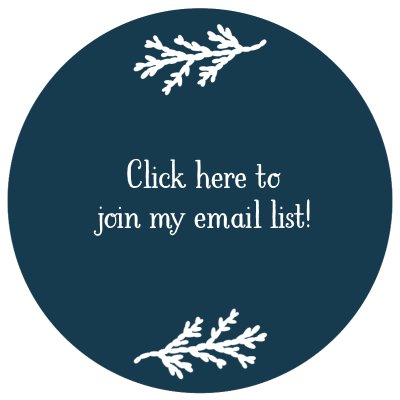 Will you please email me the pattern? hi there, heidi ~ like some of the others, love your cowl and would love to have a pdf of your pattern. my email is ceilithe@gmail.com. May I please have the pattern? It looks very attractive. Hi Heidi, may I please have the pattern for this cowl. My email is tejuvaliqu@hotmail.com. Thank you so much. May I please have the pattern for the chunky lacy cowl? It looks so yummy and warm. Thanks! I’d love to have this pattern too! The co-worker that requested a cowl wants a really long one to go over her head and around her neck, I was thinking I could easily lengthen this one. What do you think? What a beautiful cowl – I’d appreciate an email with the pattern. I have the yarn and am ready to start 🙂 My email address is pcreimer@sbcglobal.net. Thanks! Hi Heidi! I would love to knit up one of your cowls to send to my friend in Colorado. She’s a southern Cali girl and isn’t used to cold so she needs something nice and warm. Please email the pattern to: reelitt@yahoo.com. Thanks! I also would love to have the Chunky Lace Cowl pattern. It is a shame that the pattern won’t download, you are kind to continue to email it! Hi, when you have the time could you please email me the Chunky Lace Cowl pattern? Thanks! Hi, I would love to have a copy of your Chunky Lace Cowl pattern! Thanks! 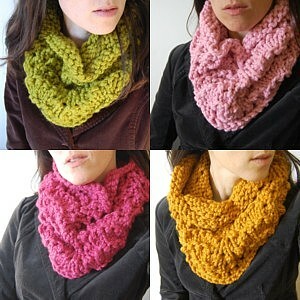 could you please email me the pattern for your chunky lace cowl scarf…my email address is tmerdinger@cox.net Thanks! Please e-mail us the chunky cowl patter, we cannot seem to get it to display.. I couldn’t get the PDF for the chunky lace cowl to download and open. I love this project! Could you please send me the pattern? Love the pattern. Could you please e-mail me the pattern? I saw your lovely pattern on Ravelry and would love to make a few for Holiday gifts. I am unable to open the pattern. Could you email me the pattern at your convenience ka0don@gmail.com .thanks! Hello! I am just in awe at this cowl of yours…but I cannot get any link or DL to work. 3 weeks til Christmas break and I would so like to make two for my son’s teachers. Pretty please with a huge thank you in advance – could you email me the pattern! Hi there! I also would appreciate the pdf of this pattern – I’m going on a long trip so I thought this would be a good item to knit on the plane and when I’m hanging out in airports. Could you please email me the pattern to staceyv233@yahoo.com? Thanks very much! I love the scarf! It’s gorgeous! When I clicked on the link to get the free pattern I was taken to a page that said “401 Forbidden.” Can you please email me the pattern? Hi Liz! Thanks! Yes, some day I’m going to have to figure out the download problem! In the meantime, here you go! It doesn’t look like I received the pattern. Do you want me to leave my email address in the comment thread or did you receive my email address when I left the reply the first time? Hi, I am not able to access this pattern as well. Can you please email it to me at sfreij@telus.net.. I also can not get the pattern. Can you please email me at nadinehalliwell@yahoo.com? I appreciate it. Thank you! Hi, I would love to have this pattern. My email is julianne423@gmail.com. Thank you so much! Could you please email me the pattern at debbiesinderson@yahoo.com. Thank you so much. I look forward to making this for my college-aged daughter. would love to have this pattern..
Hi! I would love to knit up your cowl pattern but I’m unable to access it. Please send to colourme7@yahoo.ca. I can’t get the pattern to download! It’s so very cute and I’m ready to knit whenever you are able to help me! Thanks. In case my other comment doesn’t show my e-mail – kcratliff@aol.com. I want to make this cute cowl! Thanks! I can’t download your lovely cowl pattern. Would you please email it to me? I love the cowl, but I’m unable to get to the pattern. Would you be so kind to email the pattern to boonestaakjes@gmail.com ? Thanks for the pattern, Heidi! I have made one already and am planning another for tomorrow. I used the natural color in the Thick and Quick yarn – turned out great! I love this pattern. I just finished making this cowl and my daughter loves it. I have a few more to make before Christmas. I love this cowl! Can you send me the pattern? It would make a perfect gift for Xmas! This is a beautiful pattern! Please send. Thanks!!!!! I love the pattern! Could you please send me the pdf? Thanks!! Would love the pattern but can’t download it. Please send. Thanks, it’s beautiful! Would LOVE to make this pattern as well… super cute! However, the pdf won’t open for me. Could you please email it?? Thanks a million! Hello, I love this cowl. Can you please email me a copy at tazzyjazzyknits@hotmail.com? Thanks! Can u email me chunky lace cowl pattern. Thx. I would love to make this chunky lace cowl !! Would love to make the cowl, but cannot make the link work. Heidi, sorry to bother you, but I’m having a problem with the pattern (I’m not good at reading them), I do have the correct number of stitches on my needle, however after the last two (p2tog)twice, I end up with only 2 stitches on my needles whereas I believe I should have three…can you tell me what I’m doing incorrectly? I would also love the pattern emailed to me @ sallyblick@gmail.com. I’m more of a crocheter, but this cowl is just so awesome that I have to try it. Thank you in advance!!! Just sent it your way, enjoy! I am making my first of this pattern using charisma yarn and 10mm needles. It is a simple pattern, but I had trouble with the last yo in the sequence – after bringing the yarn in front to purl next, another wrap was required. I wasn’t doing this and frogged several times because I was losing stitches. There was a great YouTube tutorial on this (sorry, can’t remember which one) and it saved my stitch count. I think I will b making more of these because the pattern is lovely, and the cowl is soft and not so bulky that it feels like a noose! Sorry, my name is Megan! I can’t download pattern for the Chunky Cowl. I’m trying to make it for 2 college students. Thank you in advance for your prompt reply.